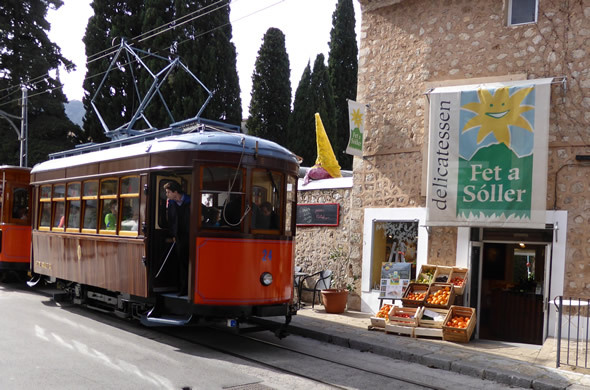 Apart from the online-shop, Fet a Sóller has outlets in the valley of Sóller and in Palma too. 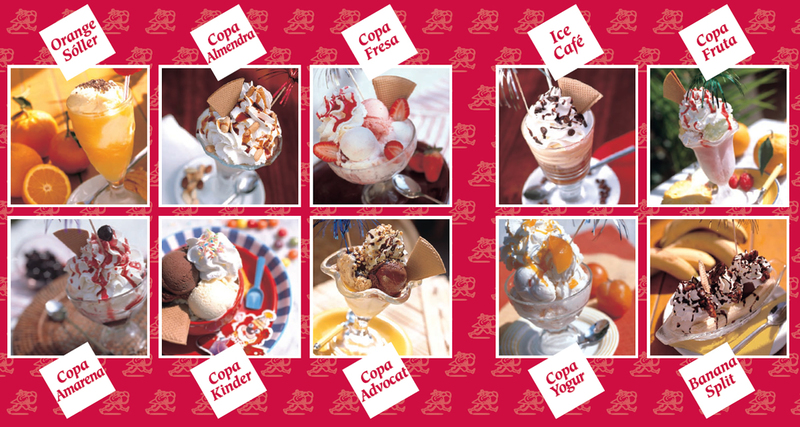 And where Fet a Sóller is, you can also find the delicious artesan ice-cream Gelat Sóller. Made with fresh milk or cream and local fruits really fresh pleasure. A lot of visitors love our orange or lemon sorbet. If you feel like shopping in Palma or if you want to stop for an ice cream, you will find us at the traditional Plaza Cort in the center of the old town area. 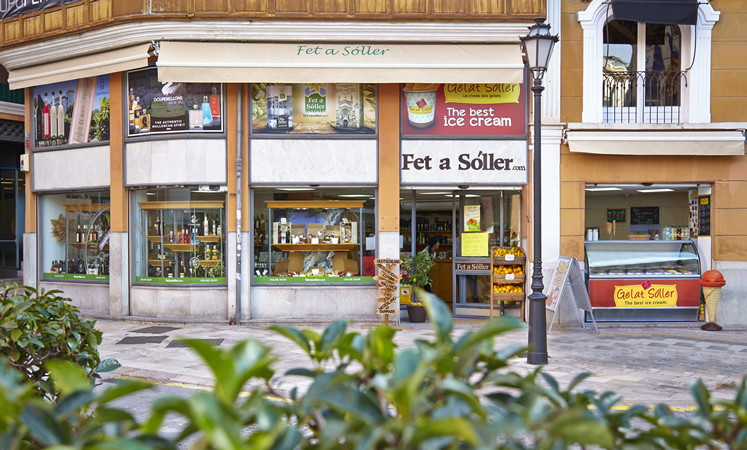 In Sóller you will find the Fet a Sóller shop two minutes walk away from the main Plaça, opposite the market hall and next to the ice-cream shop "Sa Fàbrica de Gelats". 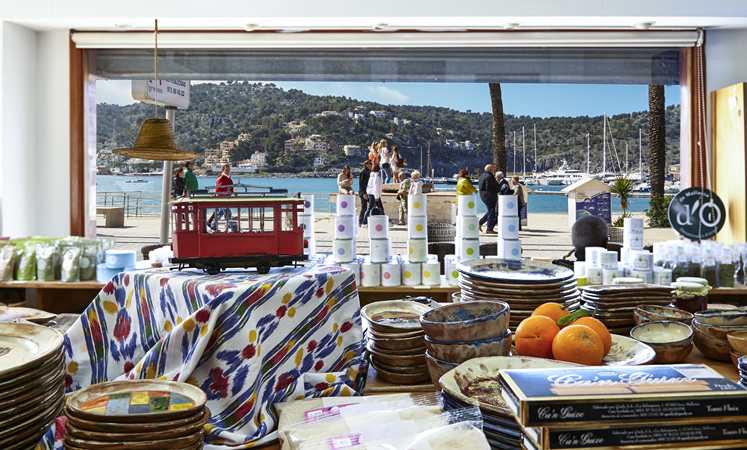 In Port de Sóller, the harbor area of Sóller, our cafe is located right at the beach promenade next to the taxi stand / Hotel Soller Beach - Fergus. Hot and cold drinks and fine pies are being served all year around. The best of the best: if your luggage is full with souvenirs, we can ship your shopping from Fet a Sóller to he place you want. Please ask our shop assistants about it! This is a great place to work. 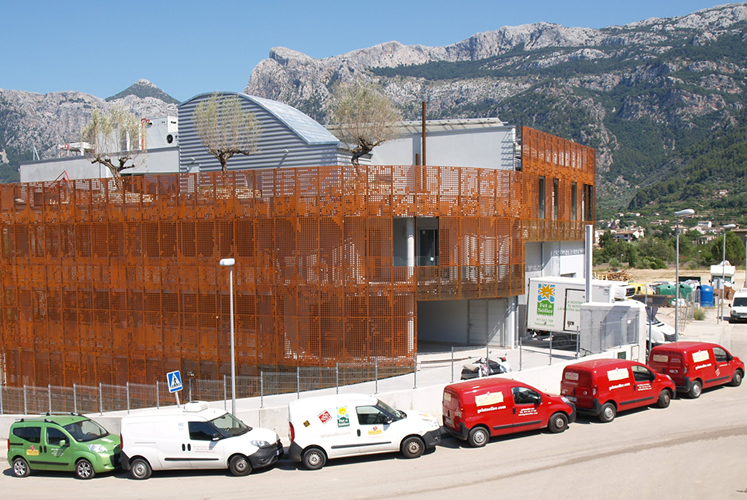 The team of Fet a Sóller and Sa Fàbrica de Gelats have been working since spring 2018 in the new building in the little industrial area called Son Angelats. The location is perfectly overviewing the valley of Sóller. Administration, product development and all orders are processed here. From here we suply our shops and clients on the island and we organize the shipments to Germany and other european countries. And most of all the fine ice cream Gelat Sóller is made here. This production can be visited (by appointment). More information is available here.